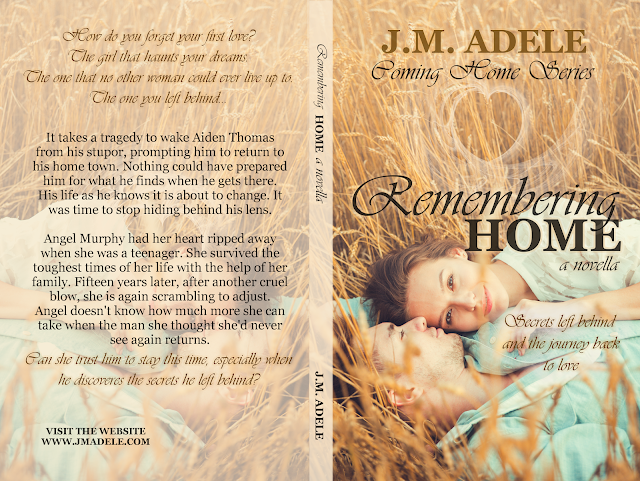 Remembering Home has a new cover! Hi there! I have some exciting news. Remembering Home has a new cover! It's so pretty I want to roll in the hay with it. Not literally, don't screw your face up at me. You're probably aware that I'm writing the second book in the Coming Home series, Finding Home. It's due out early next year. I can't give you an exact date yet. You'll know as soon as I do. So, now that Remembering Home is the kick off to a series it needed a new cover to tie in with its counterparts. The new cover is a better representation of the feel of the series. Sweet love and summer in the south. 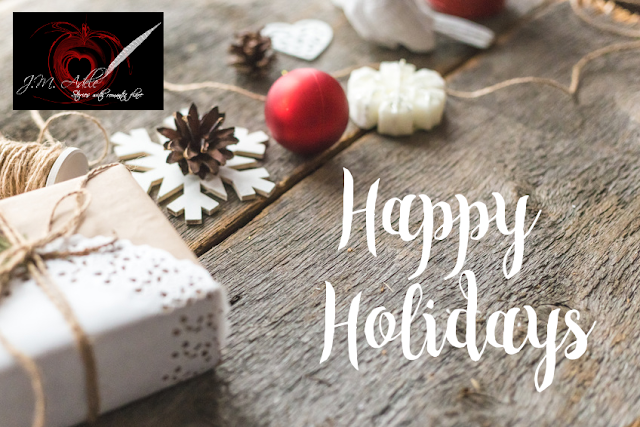 The perfect read to take on holiday, or escape the chill of winter. Sign up to my newsletter and get it for FREE! Do you like The Flare Up’s new look? It ties in with my website and is the place to find all the latest info on my works in progress, and maybe a bit of what I’m reading and anything else about me that I deem won’t send you to sleep in a puddle of dribble. Fixation Friday is here again! This week we have a treat for fantasy lovers. 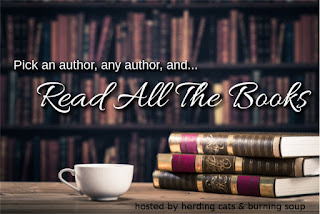 Dionne Lister has answered some of my questions about writing, and we feature her book, Tempering The Rose, book one of the Rose of Nerine series. Book Two, Forging The Rose is due out in December and is part of iBooks AU/NZ 'The Biggest Books of the Year' promotion. Start the series now for only 99 cents! Facebook G*i*v*e*a*w*a*y Number 4 - Last One! 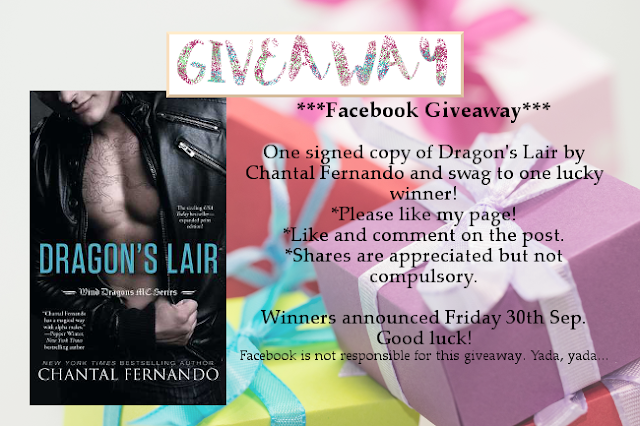 This week it's a signed copy of Chantal Fernando's Dragon's Lair, and swag for 1 lucky duck. Open Internationally. Closes on Friday, September 30th. Head to my Facebook page to enter! Welcome to Fixation Friday. Our guest today is Darcy Delany. She's here to talk about her new release, book 2 in the Modern Day Fairy Tale series, The Go-Between. All right, time to giveaway goodie bag number 3. Every week in September a new giveaway will be up for grabs on my Facebook page. 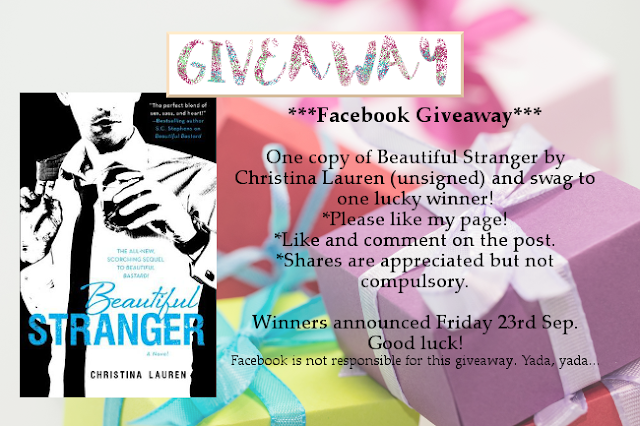 This week it's 1 copy of Christina Lauren's, Beautiful Stranger, and swag for 1 lucky duck. Open Internationally. Closes on Friday, September 23rd. Hello and welcome to Fixation Friday. I've had a few weeks off and now we're back with some paranormal/ dystopian. Two of my favourite sub-genres. Author Kate Bonham's new book, Stormblaze, book one of the Stormblaze series, is out now! Don't forget to enter for your chance to win an eBook copy and some swag. All right, time to giveaway goodie bag number 2. Every week in September a new giveaway will be up for grabs on my Facebook page. 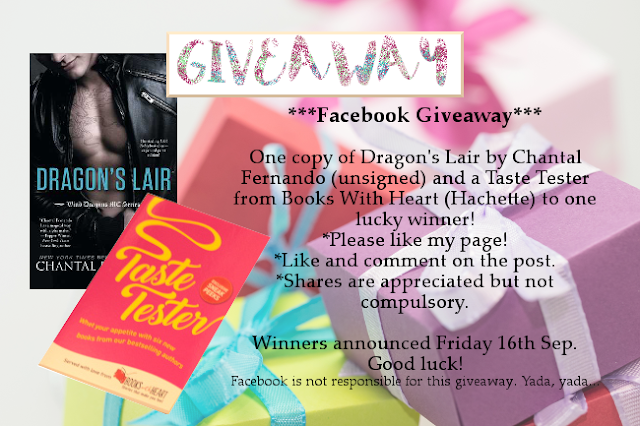 This week it's 1 copy of Chantal Fernando's, Dragon's Lair, and a Taste Tester from Books With Heart for 1 lucky duck. I'll throw in some swag, too! Open Internationally. Closes on Friday, September 16th. 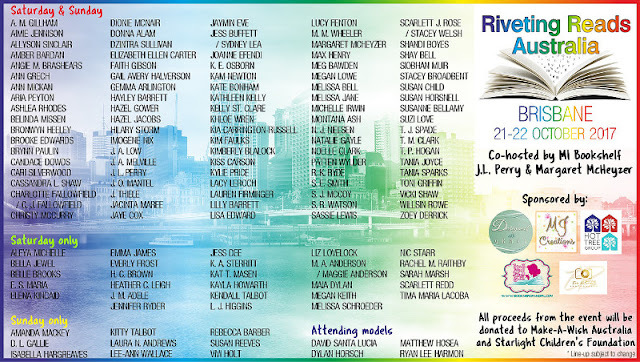 Okay, as promised I'll be giving away the goodies I bagged at the Sydney Author Event on my Facebook page. Every week a new goodie bag will be up for grabs. 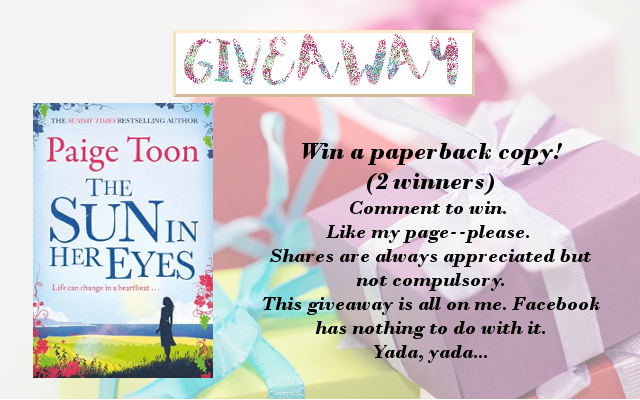 This week it's 2 copies of Page Toon's, The sun In Her Eyes for 2 lucky ducks. I might just throw in some swag, too! Open Internationally. Closes on Friday, September 9th. Fixation Friday time! This week we have the fantastic Khloe Wren. She's let us into the darker side of writing. The hard stuff and how she deals with it. I can't express how much I appreciate this post. Thank you so much, Khloe! Hi lovelies! 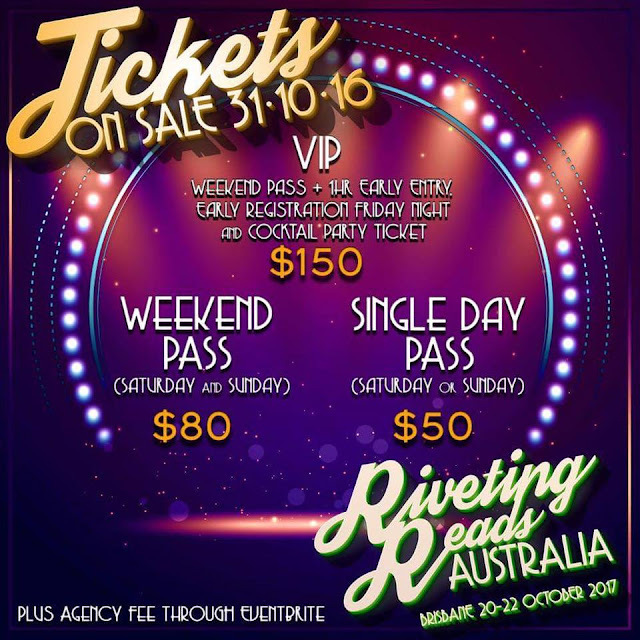 I'm back from the Sydney Author Event and here with another Fixation Friday for you. This week we have romance with a medical flavour from JC Harroway. JC has done a quick Q&A for you. Warbling Me - Behind the Scenes of Sensing You & GIVEAWAY! Time for the monthly warble. Don't worry there's no audio file, no need to block your ears. As promised I'm giving you a look behind the scenes of Sensing You. Hi all! Fixation Friday is here again. Today we have romantic suspense with a dark side for you. Author Jane Blythe surprises everyone with her passions outside the playground. Read on to learn about her contradictory double life! And don't forget to enter the GIVEAWAY to win signed paperbacks of the first two books in her Count to Ten series!